Whilst around a million* headlines inventively proclaimed Safe House to be 'too safe', they missed the bigger picture that Safe House might actually be something of a landmark in action thrillers, a notable step for the genre and its influences, something which might help us to move to more exciting territory. Yes, ladies and gentlemen, this is the point where the action film fraternity finally started to admit that Bourne did it better. And so, Daniel Espinosa's film adopts the hard cracking mini-zooms over the incoherent cuts during the fights and looks back to 70s Paranoia Thrillers to generate the antagonists. 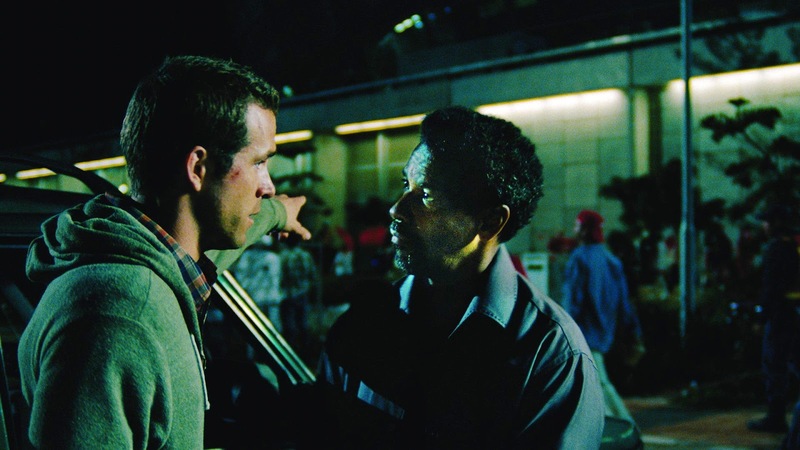 This isn't a stock actioner with a good guy and bad guy; everyone could be out to get Ryan Reynolds' hero Matt Weston, thus contributing to a plot attractively structured around fragile alliances. Noble though that may be, Espinosa fails to make Safe House standout in other areas that might have put it somewhere near the Bournes. Sure, the film learns a lot from Paul Greengrass and Matt Damon, but it fails to take those lessons to the next level, accepting imitation over innovation. Characters too seem to be low on Espinosa's radar. We're given little reason to care about anyone (you can't imagine Weston getting his own series) and people come and go with gunshot-friendly ease. The middle 3rd too degenerates into an overly simplistic cat and mouse game and the contrivances which lead characters to find each other are many and accentuated. That aside though, this is a more-than-functional Thriller, which at least has the brains to try and learn from the best in the business. Safe House is available from Google Play. I feel like I also would've liked it more as an approach to realistic espionage movies if Ryan Reynolds's character hadn't cried for about 2/3 of the film. There's a point where you really gotta just man up, dude. Yeah, he doesn't carve out a likeable character for himself does he, or even a tough-but-silent type. He also just doesn't seem that smart, or good at what he does... remind me how he survived this again? !